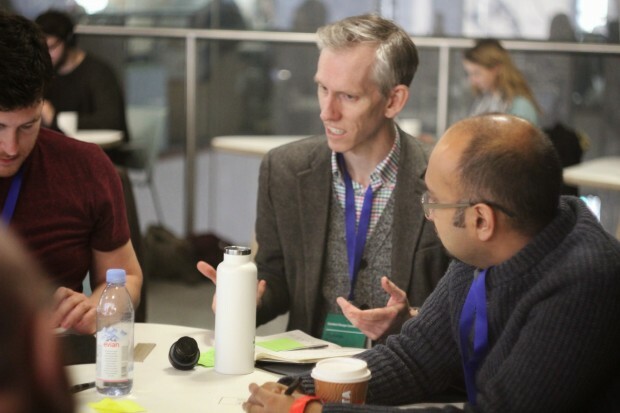 At last week's Content Design Conference a few of us huddled around a table at Impact Hub Westminster to talk about one of my favourite things: the future. Specifically, we were discussing the future of the government content design community, which began its life on Basecamp last year. Just a few months later Basecamp has over 500 members and a real life face-to-face conference under its belt. The 150 conference tickets went in under a day. With stats like that it seems clear there's a demand for this community. In our group, we were interested to explore that demand to see how the community could best meet it. The group felt that lack of time and lack of budget are the 2 main blockers that stop people getting more involved in the community. One way to address this would be to make it more obvious to line managers how involvement in the community helps (or could help) to meet our civil service objectives. We could also make the community a bigger part of our day-to-day work. For example, could we share work across departments and agencies - or have a departmental buddy system to share 2i resource? Could we outsource content requirements from a department or agency with no dedicated content team to better established teams in other parts of government? Perhaps the community would need to work with centralised content team members (and other people who publish) differently from devolved content designers. They have different needs. The community could also act as a lobbying group for change, eg unblocking the use of tools we need to do our work. Chrome and Google docs are currently not allowed in many departments. That makes it more difficult to create content in an agile way. A well-functioning government content community would help to achieve the single government domain by enabling more sophisticated user journeys and greater consistency. In the end that means a better experience for users. Here’s to Content Design Conference 2. 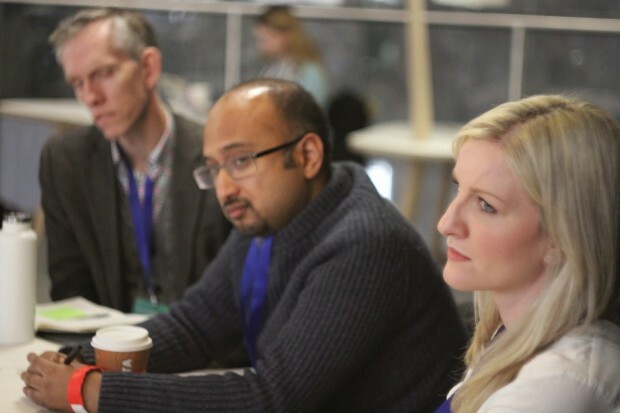 Come to the local GOV.UK meet-up in Nottingham on 19 February. Apologies if we've misunderstood, but we (the DfE content team) are a little worried about the suggestion that departments or agencies with no dedicated content team could outsource their content requirements to better established teams in other parts of government. We don't think this could work in practice - just because a team is well established, does not mean they have spare capacity to help other organisations with their publishing. Well established teams are often stretched for resources as well, and we very much doubt that their department would consider increasing their budget so that they can help out with other organisations' publishing responsibilities. We also think the approach would be problematic because no organisation is going to give priority to another organisation's content. The 'well established' team will always give priority to the content of their own organisation because that is the organisation they actually work for, so the other organisations' content will always have to wait. We do agree that different organisations should work together to improve content quality and consistency. The session at the conference was designed to think about the future in a fairly open way. How could things change given the right conditions? Rather than 'what could we put in place across government immediately?'. Instead of a department or agency trying to recruit, train and retain a content team of the right standard, maybe they could spend their budget in a different way? Maybe they could even pay another department who has already done this work (they already have knowledge and skills and ways to recruit good people) so that they could do a better job more cost effectively? At the moment agencies pay parent departments for content team capacity for fixed periods to work on specific projects. Departments also hire external consultancies and contractors. Why not consider taking all that one step further? A great content team that's tight on resources could get an injection of cash from another department to hire and line manage 1 content designer. However, that content designer is only required by the hiring department or agency for 75% of the time. All of a sudden you have an extra 25% capacity plus a percentage of your 2i and line management costs paid. That content designer's time would be prioritised around who was paying for them. So even though they're physically sitting with a team in department X, they would prioritise work from department Y when there was work that needed doing. First, I freelance, travelling from department to department and doing a fair amount of work for GDS/GOV.UK. How can people like me get involved in the community more? Can I get a Basecamp account? Maybe GDS could offer occasional hotdesk space for us? Also, GDS might want to think how they can make better use of us (as travelling torch-bearers.) We already have a lot of collective knowledge about how things work well in various departments. Second (and like your idea, completely theoretical) could the system support a floating team of content designers? Independent of departments but able to pick up work as and when required, even if that's coming in for half a day to do a bit of training, or help kickstart a piece of work.